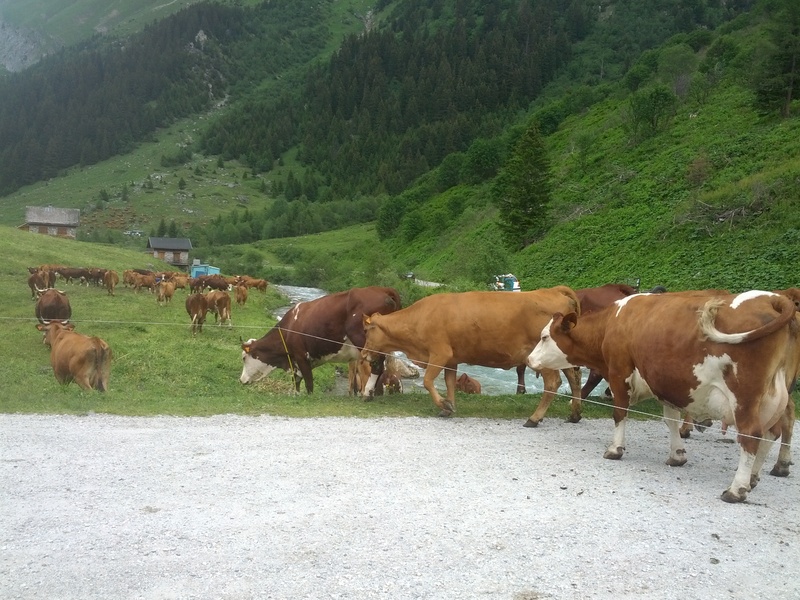 Almost wherever you walk around here, there are beautiful brown cows grazing and clonking their bells on the hillside. They are moved from area to area each day and kept there by a slight cord held up by poles. Some ropes are electrified and I think the cows must have learnt that the rope means,’Don’t even try it!’. They munch their way through flower after flower, plant after plant, and by the end of the afternoon, start gathering at the point nearest their milking trailer. The cowherd opens the rope and the queen cow leads her herd over to be milked. It must be good to have a drink in the racing, fresh river before lining up. The trailers are moved into position each day. Each one houses eight stalls and the milk is pumped into a round stainless steel container sitting in the back of a ute. 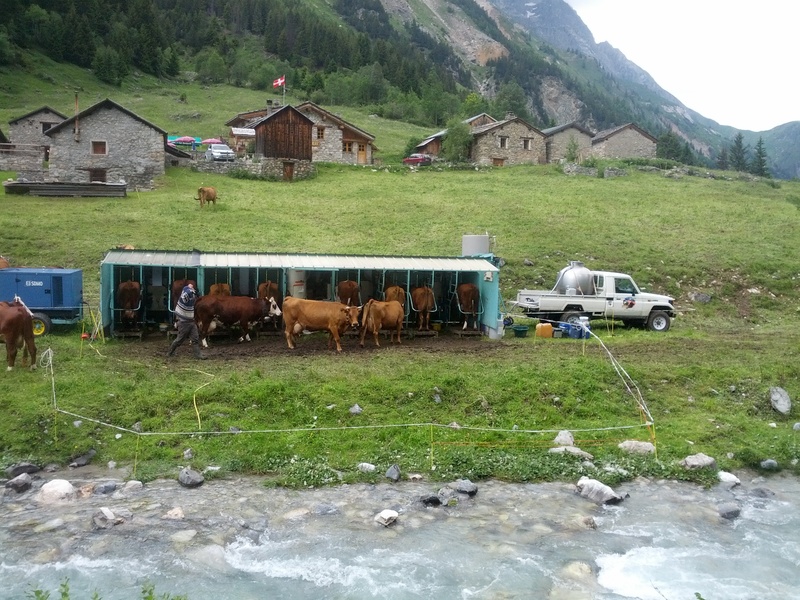 This is then taken to the fromagerie to be made into Beaufort cheese. Summer Beaufort is much favoured because it is flavoured with the summer meadows. 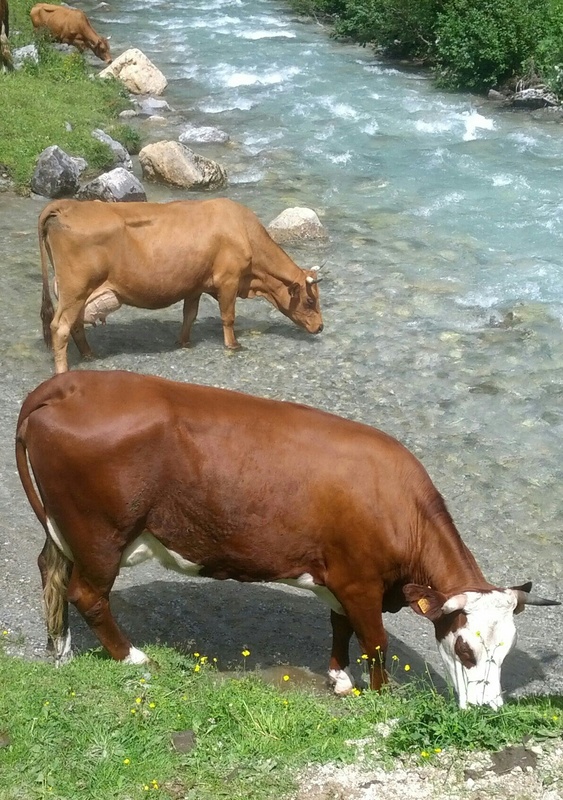 Winter Beaufort is made from the milk from cows eating hay in their barns further down the mountain. There’s always a slice of Beaufort to be had at breakfast, lunch and dinner. 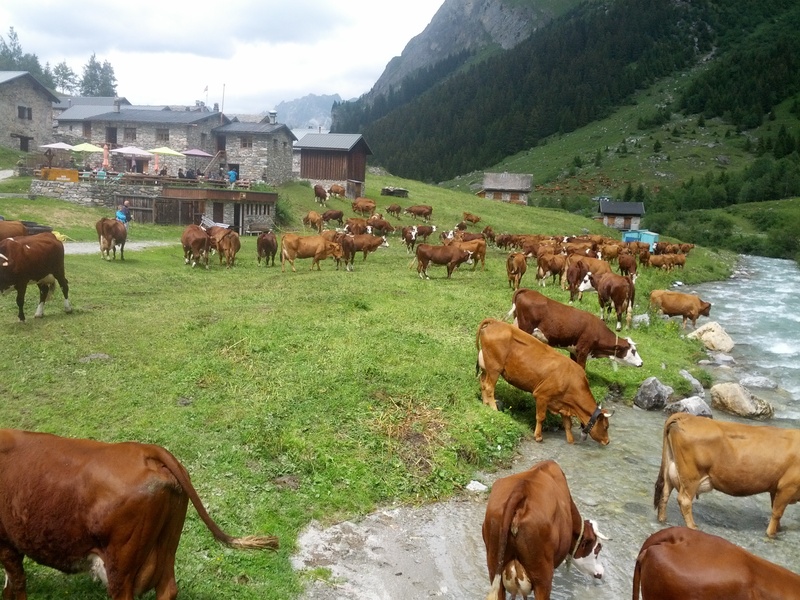 This entry was posted in French Alps : Pralognan and tagged alpine cows, Beaufort cheese, Pralognan by lizlow2014. Bookmark the permalink.